Medical Oncology services you receive at Arizona Oncology are provided by a team that consists of medical oncologists and oncology-trained nursing staff. 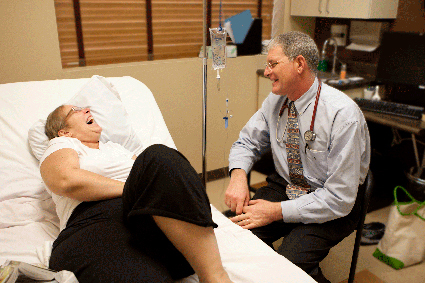 This team plays a major role in your cancer care. They manage your treatment plans and therapies, monitor and evaluate your progress, and collaborate on your best options with your other medical caregivers. They consult with you on your choices and any temporary side effects you may experience during chemotherapy treatments. They offer medical guidance, helping you make decisions along the way. And they also connect you and your family with the best supportive services for educational, emotional, and financial challenges you may face.